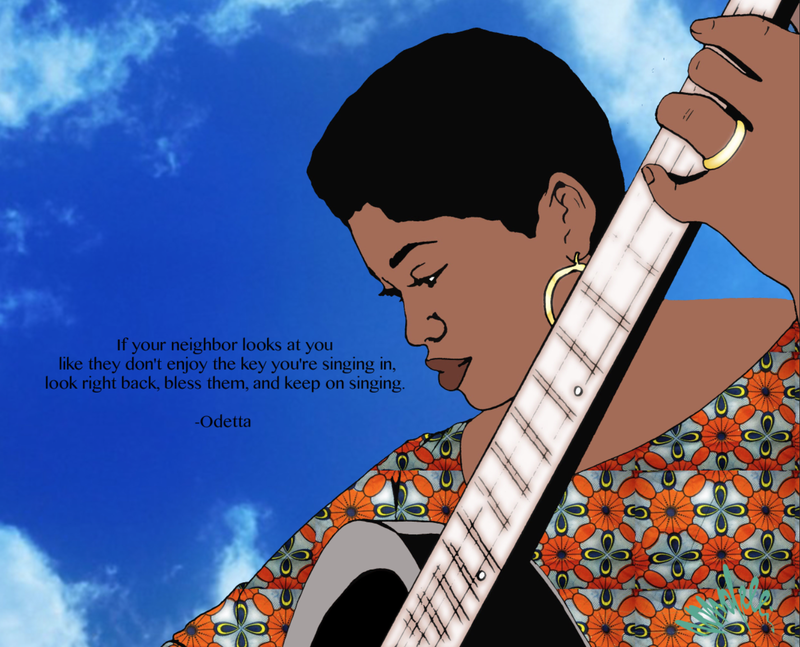 Odetta Holmes (December 31, 1930 – December 2, 2008), known as Odetta, was an American singer, actress, guitarist, songwriter, and a civil and human rights activist, often referred to as "The Voice of the Civil Rights Movement". Her musical repertoire consisted largely of American folk music, blues, jazz, and spirituals. An important figure in the American folk music revival of the 1950s and 1960s, she was influential to many of the key figures of the folk-revival of that time, including Bob Dylan, Joan Baez, Mavis Staples, and Janis Joplin. Time included her song "Take This Hammer" on its list of the All-Time 100 Songs, stating that "Rosa Parks was her No. 1 fan, and Martin Luther King Jr. called her the queen of American folk music." I love the 1959 movie "Pillow Talk" which starred Doris Day and Rock Hudson. One of the reasons why it's in my top movie selection is because of the Singer/Actress Perry Blackwell. She only had one scene in the movie and she sang for most of that scene, but what she did with her expressions and mannerisms spoke much much more. She was also in the 1960 movie "Dead Ringer" with Bette Davis and Karl Malden. There is not much info on her available, but I did discover via a message written by her daughter, that she is a classically trained Pianist and self taught organist. She played Hammond Organ for years. Also she played with Sonny Stitt, Wes Montgomery Bros. , Roy Milton and Louis Jordan. She worked many gigs around such people as Nancy Wilson, Aretha Franklin, Quincy Jones, Joe Williams, Freddie Hubbard, Jackie Wilson and Red Foxx.